An issue that constantly (and annoyingly) rises during my readings in this course is weather or not fashion is art. I thought this was dealt with? Andy’s Brillo boxes? Or even earlier! Didn’t Marcel clear this up with his urinal? My opinions aside, they do raise important (while instantly boring) issues that were of interest more then a century ago to William Morris and his Art and Craft movement (Negrin 2014, 2). It’s also evident in the modernist concept of a “total work of art”, the inclusion of art in all aspects of life, explored by modernist artist Henry Van Der Velde and Sonia Delaunay, Delaunay who ended up with a successful fashion store and “her Maison Delaunay design atelier, may well be her broader legacy” (Nathan, 2016) (image 1). Anne Hollander proposes, “Dress is a form of visual art, a creation of images with the visible self as the medium.” And that “dressing is always picture making” (1993, 311). She also claims the reading of clothes is dependent on what is perceived, not only what the designer had in mind. Sound familiar? Sandra Miller’s article is important in this discussion, using Kantian theory of aesthetic judgment to understand why fashion has been left behind while architecture, a medium that also involves both functionality and aesthetics, has made it into the art world (2007, 32). Employing Walter Benjamin’s concept of aura, Miller finds that clothes “lack the elevated art status”, the “aura” (2007, 35) and possibly because “fashion, however elevated, remains rooted in the everyday and therefore sociocultural methodologies have hitherto been the preferred mode of analysis.” (2007, 35). Because architecture isn’t part of our everyday. Image 2 is an example of McQueen not caring about my whole paragraph. For me though, Miller’s discussion seems to question how fashion is read in art theory and criticism not weather or not it is art. The introduction of mechanically reproducible art forms like the camera, film or still, brought with it questions regarding authorship and originality that rejected “aura” and actually “opened the way [for] new candidates to attain the elevated label of art” talking specifically about fashion and stage design (Miller 2007, 35). In the other corner, representing the Arts and Crafts Movement is Llewellyn Negrin. While Miller suggests “ignoring their functional dimension” as a way to view garments as art (2007, 39), Negrin claims, “ …the elevation of fashion to the realm of art… is predicated on a renunciation of all those aspects that connect it to life” (2014, 4). For fashion to fit into the cool group (art) it comes at the cost of rejecting its roots (to be worm) making it something else altogether, “disembodied” according to Negrin (2014, 1) Negrin argues that fashion loses its essence, especially when displayed as static object in the museum. “Fashion’s new found status as art comes at the cost of its alienation from its role as wearable garment” (2014, 6). But has it? Or is all this adamant catagorising – that theory like this is sustaining- just restricting it? This is possibly why such humanistic mannequins were used in Alexander McQueen’s retrospective Savage Beauty (2011), because fashion is a medium irremovable from the body (image3). In my opinion, fashion is a unique form of expression because its multifaceted, including the physical garment, the photograph, the performance and for me, the performance is fashion is at its most self-reflexive. Performance on the runway or in everyday life. For Alexander McQueen, for example, the runway show predicated the collection, “For him, the runway show was not only critical to his creative process, it was the catalyst.” (Birringer 2016, 28). Through his collections and runway shows McQueen was able to communicate issues of importance to him about tradition notions of beauty (VOSS, image 4), colonial violence (Widows of Culloden) and paradoxes in the fashion industry. McQueen’s own words (and the words of those who knew him) reveal he was very aware of his intention to dress but also knew what he was doind was art. He’s quoted as saying, “I want to be the purveyor of a certain silhouette or a way of cutting, so that when im dead and gone people will know that the C21st was started by Alexander McQueen” (New York Times, March 8, 2004). This doesn’t sound like someone who just wanted dress someone functionally or make garments to become inanimate objects. 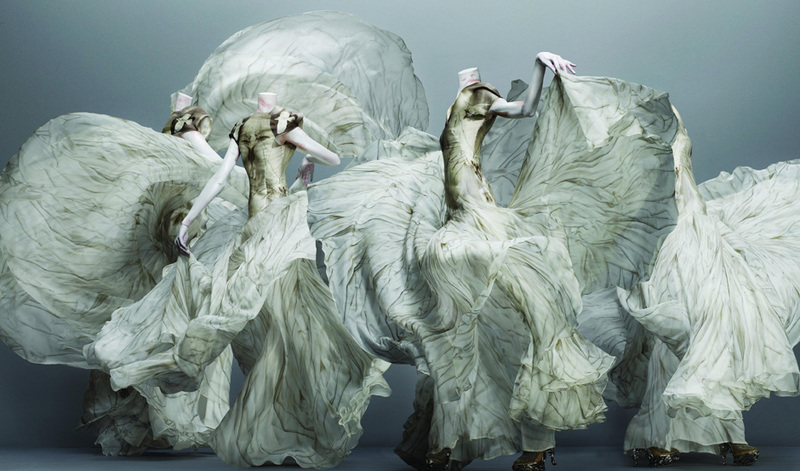 McQueen is an excellent example of fashion that is both art and craft, at its finest. In his own words “My work is a social document about the world today.” (Bolton 2011, 12). Bolton, Andrew. 2011. Savage Beauty. The Metropolitan Museum of Art: New York. Negrin, Llewellyn. 2014. “Fashion as Art or Art as Fashion?.” 6th Global Conference on Fashion. This was very nicely written, I enjoyed reading it! I’m often frustrated about why we feel the need to categorize everything. Maybe its art, maybe its not; neither category makes the work any more or less important. Although Alexander McQueen’s approach to fashion was definitely dipping (if not diving) into the art realm – why can’t it be its own category? I don’t understand why something must be defined and classified by comparisons to its surroundings.